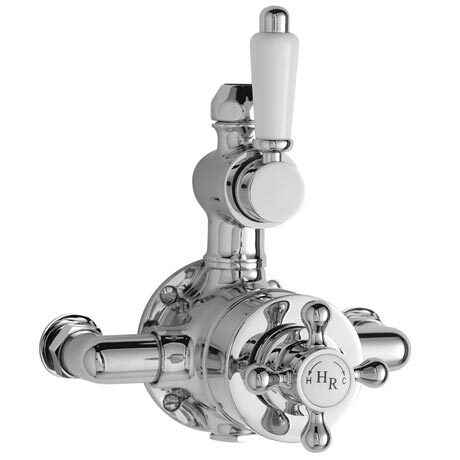 A Hudson Reed traditional twin exposed valve with separate controls for temperature and flow. Operates one shower accessory: rigid riser kit. Suitable for all types of plumbing installation this shower valve has the added safety benefit of a built in anti scald device should the cold water supply fail. Simply remove the cartridge, turn 180°C and replace. Very easy to fit. Clear instructions and it works a treat.